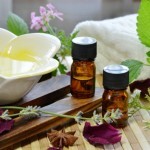 Aromatherapy is an herbal medicine technique used to enhance the natural benefits of massage. It uses fragrant oil extracts that are obtained from herbs, fruits, flowers, and other natural plants. Chair Massage is generally a shorter session than other massage techniques. Typically, a massage session will run between 10 and 30 minutes. Chair Massage mainly focuses on muscle tension and caters to your shoulders, back, head, neck, and arms. CST addresses the inherent, gentle, rhythmic movement of the bones in the skull and their effect on the fluid that surrounds, bathes, and cushions the brain and spinal cord and runs throughout the body. Cranial bones move in miniscule amounts as a response to the production and absorption of cranial fluid. With head trauma, whiplash injury, or even severe stress, cranial bone movement can be compromised, resulting in headaches, dizziness, ringing in the ears, or vision disturbances. 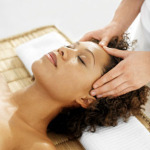 This therapy restores the normal movement of the cranial bones and fluid. Craniosacral therapy can be independent of massage or can be integrated into a bodywork session. It is a therapeutic treatment for many conditions. Whiplash, headaches, tmjd, low back pain, depression are a few commonly treated conditions. Helps to relieve congestion and tightness in your muscles. Circulation is improved and oxygen deprived muscles are returned to a healthier state, thus breaking the pain cycle. Incorporates smooth stones that have been warmed in water. The heated stones are either placed on areas of tightness or slowly massaged over muscles. This warm stone massage provides a deeply relaxing and soothing experience. Cool stones are used to reduce inflammation. Neuromuscular massage therapy, also known as medical massage, is a technique which focuses on realigning the deepest muscle tissue and connective tissue layers. This includes scar tissue, tendons, and fascial layers; the protective areas which surround your joints, muscles, and bones. Helps relieve congestion in the feet and corresponding reflex points in the body. Many energy meridian points begin or end in the feet, so this is an effect treatment to improve the flow of energy throughout the entire body. Helps active people stay active and at the top of their game. You will experience better range of motion and sports performance after receiving an integrated massage including assisted stretching,post isometric relaxation stretching and deep tissue massage. Sports massage will also shorten recovery time and help prevent injuries.